Share this experience with your family and friends since the boat can carry as many as 8 people! 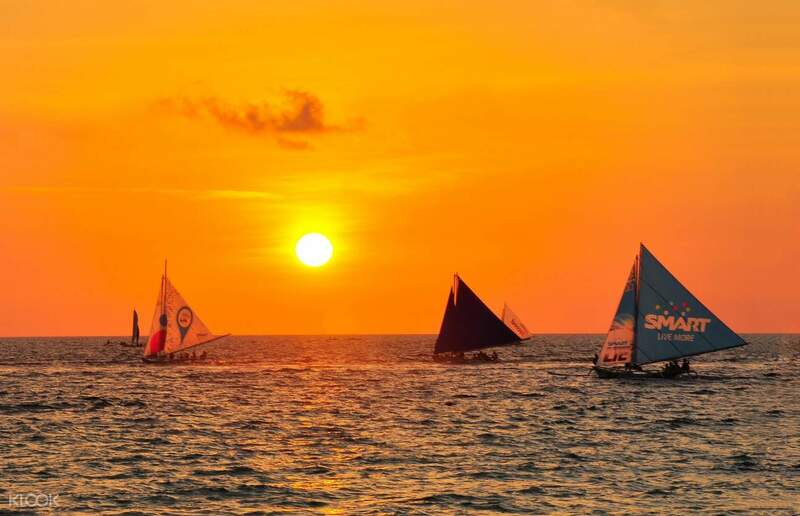 Boracay is known as one of the most beautiful islands in the world, but one unique way to experience its beauty is through sailing! Avail of this sailing activity and ride either a regular sailing boat or paraw boat and glide through Boracay’s calm waters. Tag your family and friends along and enjoy a serene afternoon in the middle of the ocean with your loved ones. 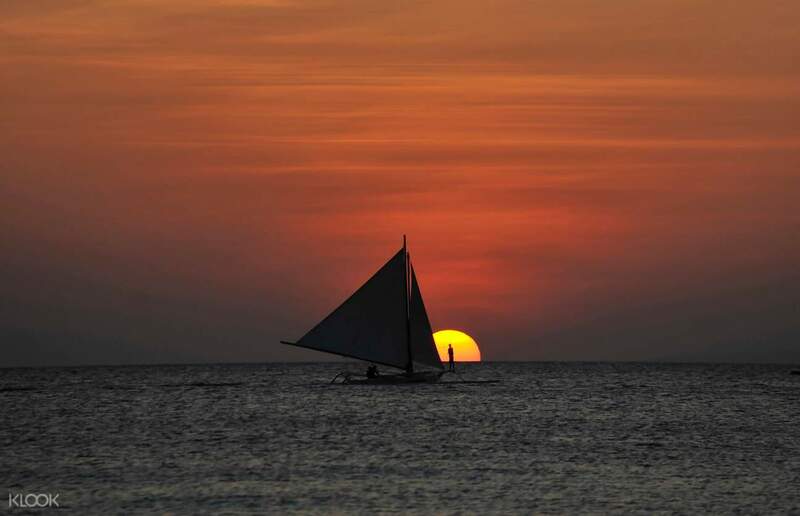 Be sure to take lots of photos as Boracay’s sunset is not one to be missed! Tag your loved ones along for a romantic afternoon! 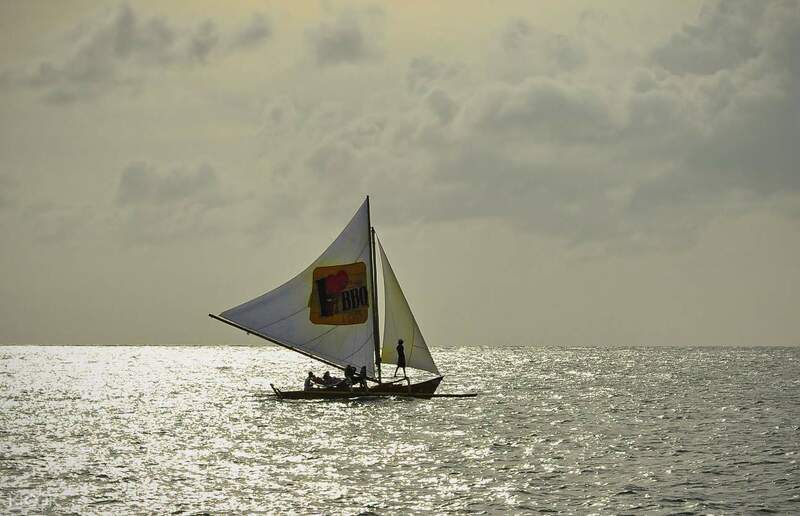 Make this paraw sailing the highlight of your Boracay vacation! It is a great experience. We sit on the 2 sides of the paraw which we never tried before. Look a bit dangerous at first galace but it is real safe. The sunset view is really nice and stunning. It is a great experience. We sit on the 2 sides of the paraw which we never tried before. Look a bit dangerous at first galace but it is real safe. The sunset view is really nice and stunning. Thanks Klook! You make everything convenient and easy. We had a hard time booking this activity with the locals in Boracay but you made it possible and exclusive just for us. We had the best time. Thanks Klook! You make everything convenient and easy. We had a hard time booking this activity with the locals in Boracay but you made it possible and exclusive just for us. We had the best time. Sunset sunset sunset... never get tired of seeing boracay’s sunset! Especially in a paraw sail! Sunset sunset sunset... never get tired of seeing boracay’s sunset! Especially in a paraw sail! It’s our first time to take the sailboat and the experience was phenomenal. So relaxed but unfortunately there were too many groups of people so our tour shortened to 20 mintues instead of 30 minutes. Talked to the other travelers who took the same tour from Klook and they had the same issue as well. It’s our first time to take the sailboat and the experience was phenomenal. So relaxed but unfortunately there were too many groups of people so our tour shortened to 20 mintues instead of 30 minutes. Talked to the other travelers who took the same tour from Klook and they had the same issue as well. We had so much fun with this activity. 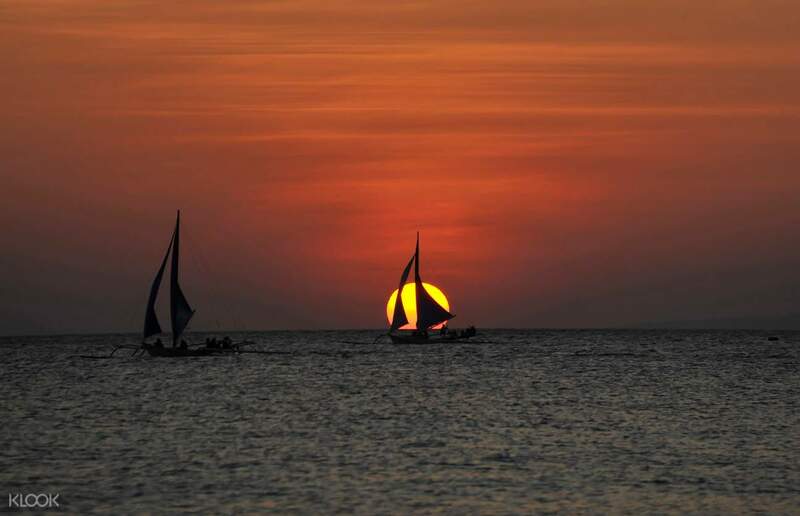 I would have been fun if we were able to witness the sunset while having this activity. Will surely avail the next time we visit the island. We had so much fun with this activity. I would have been fun if we were able to witness the sunset while having this activity. Will surely avail the next time we visit the island.